The past couple weeks I have been exhausted with unpacking and getting our new place habitable, and I have been super sad that I have been neglecting blogland. 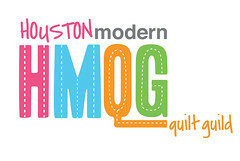 so I figured, what better way to get back into the swing of things than with an entry into this spring's Blogger's Quilt Festival. These windblown pictures are great because you can really see the detail of the spiral quilting. I quilted it on my own little machine, and I am so glad I did. The spiral was just what this quilt needed. The bulk of this quilt was made with Lizzy House Constellations fabric line + some Tula Pink + a bunch of low volume from my stash. I love the monochromatic blues and grays because I feel like it lets the piecing shine through without getting jumbled in super scrappiness.